US President demands Saudi Arabia provide answers over disappearance of journalist Jamal Khashoggi, whom Turkish officials say was murdered. US President Donald Trump on Wednesday demanded that Saudi Arabia provide answers over the disappearance of journalist Jamal Khashoggi, whom Turkish officials say was murdered after entering the Saudi consulate in Istanbul. Trump said he had talked "more than once" and "at the highest levels" to partners in Saudi Arabia, considered one of Washington's closest allies and a key market for the US weapons industry. "We're demanding everything. We cannot let this happen, to reporters, to anybody," Trump told reporters, according to the AFP news agency. White House spokeswoman Sarah Huckabee Sanders said National Security Advisor John Bolton, Secretary of State Mike Pompeo and Trump's close aide and son-in-law Jared Kushner had all spoken to Crown Prince Mohammed bin Salman over the past two days. 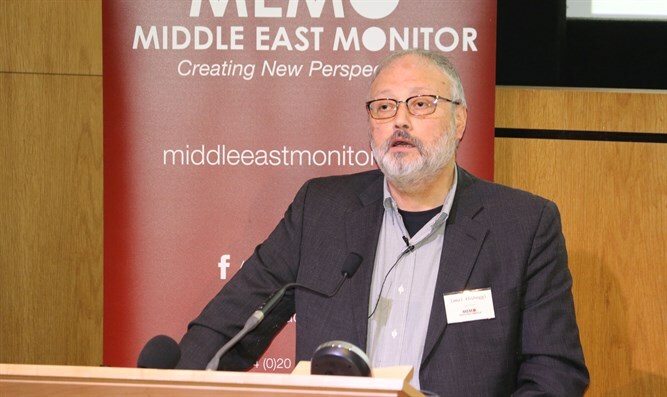 Turkish police concluded on the weekend that Khashoggi, a prominent Saudi journalist who was also a contributor to The Washington Post, was murdered inside the Saudi mission in Istanbul after going missing. US officials have not confirmed the Turkish claims that Khashoggi had been lured to the consulate and murdered by a team of 15 government operatives sent by Riyadh to Istanbul. Trump also said he was looking into a meeting in the White House with Khashoggi's fiancée Hatice Cengiz, according to AFP.